American pop-artist and Latin superstar, RJ WORD has grown up in the heart of the entertainment industry. In Los Angeles, RJ took inspiration from local legends Michael Jackson, Justin Timberlake, Max Martin, and Quincy Jones. 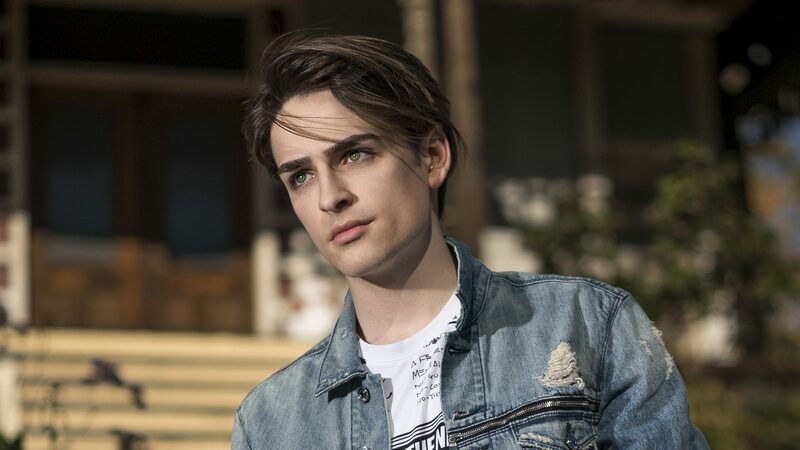 Now, at 21 years old and with a handful of hit original singles, we talk to RJ about his recent successes as we head into a new year. AC: What was it like growing up in Los Angeles? RJ WORD: Too me it’s always just been normal. You never know what you’re missing till it’s gone. I’ve always enjoyed the artistic diversity a city such as LA. Where did your passion for music begin? I feel like I’ve always naturally gravitated towards music. At an early age, I noticed how it could completely change people’s moods and the energy of a room. That just stuck with me. You often throw some Spanish-spoken lyrics into your music. How much does your large Latin fanbase influence the creation of your music? The fanbase is why I did it in the first place. When I did my first promotional tour in Mexico I knew I wanted to sing at least a little bit of one of my songs in Spanish. Initially, it was just to win over some live audiences, but I couldn’t have anticipated how positive the response would be. After that, the opportunities to sing in Spanish with Latin artists just started falling into my lap. What’s it like filming a music video? Do you have your own ideas as to what you’d like it to be? It’s normally chaotic, stressful, and fun. I usually have a pretty good idea of what I want the music video to be before even hiring the director. Then we’ll flesh out the ideas together. Alongside your own music, you recently collaborated with Juan Magan, Pitbull, and Rich The Kid. How did that happen? Juan and I had been working with some of the same industry people. They introduced us digitally first. When I saw Juan was doing a show in Vegas, I flew out to meet him in person and we just really hit it off. We knew we wanted to work on something together. Pitbull was already on the record Juan invited me to hop on it, then Rich recorded after. With the amount of Instagram followers that you have, do you ever get nervous about posting? Not really. I just put out what I want to put out. Makes no real difference to me how many people see it. It stills shocks me how many people are interested in my life. You have an incredibly loyal fan base, how do you interact with them? Mostly online, due to the obvious geographical limitations. But I love meeting them in person when the opportunities present themselves. Scary film or a happy ending? I care more about the quality of a film. Both happy endings and ones left up to interpretation can be excellent or horrible. Three people dead or alive that you’d have dinner with? Michael Jackson, David Bowie & Stanley Kubrick. The best thing that has happened to you today? Hot Yoga then video games. Playful Persistence? This question seems to get deeper the longer I think about it. One particular thing that you’re excited about for the future? More opportunities to play sets around the world.